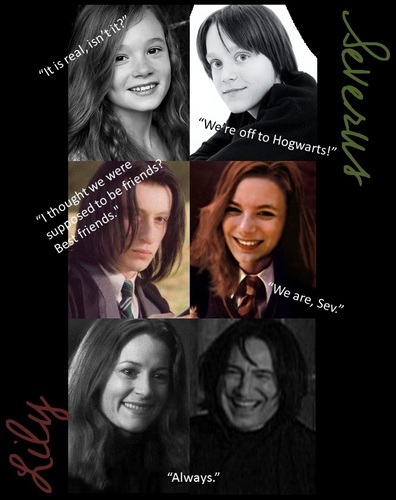 Lily and Severus. . HD Wallpaper and background images in the Severus Snape club tagged: severus snape lily evans harry potter deathly hallows. This Severus Snape fan art might contain anime, grappig boek, manga, cartoon, stripboek, portret, headshot, and close-up. Made me cry! I love it. GOD bri-marie, you make me cry again. Blasted! :s I didn't mean to make you cry. It's just that it's wonderful.